Our Sonora series includes a range of very lightweight shirts made of soft, stretchy fabric that are ideal for travel, leisure or everyday wear. 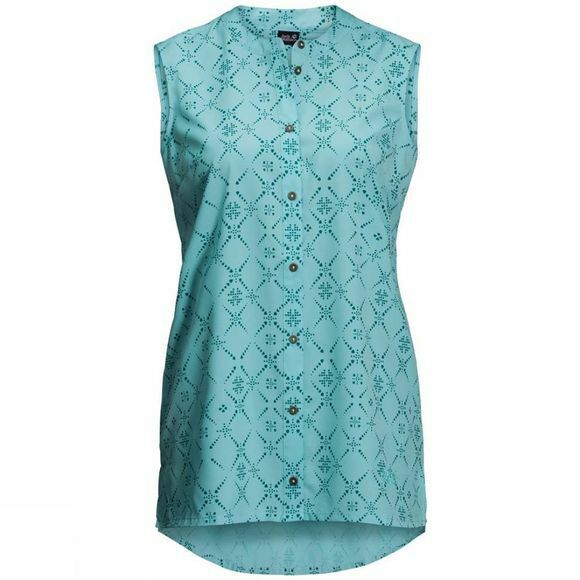 TheWomens Sonora Maori Sleeveless has a slightly longer cut and a small band collar. The shirt is named after the indigenous people of New Zealand, and the pretty pattern is inspired by their art.